When is a bankruptcy filing a good idea to stop a car repossession? I rarely get calls from people needing to file bankruptcy to stop a car repossession… and that is a good thing. Because it is hardly ever a good idea to use a bankruptcy to only save a car. It almost never makes financial sense to do so. Just the cost of hiring an attorney to file the bankruptcy is usually enough to get the car payments current. Usually the car is at a high interest rate, is upside down (value is less than what is owed on the loan), and many times the car is a “lemon”. Please do yourself a favor and let the car go. You might need the bankruptcy to protect yourself from the deficiency, clean up your credit, and get rid of other dischargeable debts. But don’t use your powerful bankruptcy filing to save the car that is not worth saving. Can you get your car back if you file a bankruptcy? Not necessarily. 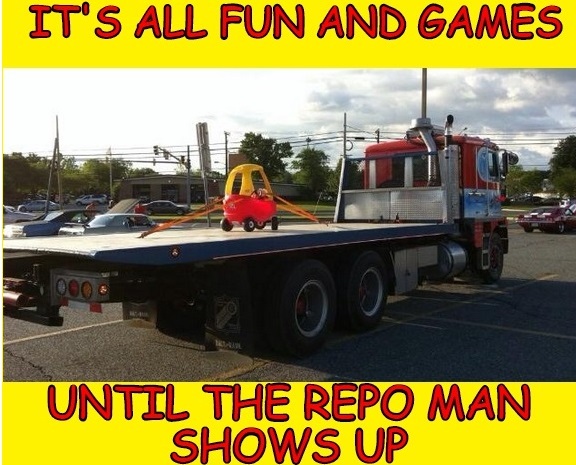 Since the creditor already has your car back, it is up to them if they want to give it back. In Florida, there is a state right of redemption – which means any time prior to the sale you must pay the entire amount due (including costs) to get the car back. At any time prior to such sale, the lender shall permit the borrower to redeem the titled personal property by tendering a money order or certified check for the principal amount of the title loan, interest accrued through the date the lender takes possession, and any reasonable expenses incurred to date by the lender in taking possession of, preparing for sale, and selling the titled personal property. Even if you were to file a chapter 13 bankruptcy to propose to pay the loan back, local rulings state you have no more than 30 days from the time the bankruptcy is filed to redeem the car in full. While chapter 13 bankruptcy is a very powerful tool for a person in financial difficulties, it is not a great tool to get a car back that has been repossessed. There are certainly some examples of car lenders working with a person to allow the car to be returned. But those are few and far between, and there is no bankruptcy remedy to force the lender to give a car back that has already been repossessed. Please think long and hard before paying a bankruptcy attorney a large amount of fees for nothing more than the hope of getting your car back. I almost always advise against filing bankruptcy for the sole purpose of a car.